I like secrets. Reba especially loves swatting at them until they spill their guts—sometimes quite literally. If you are looking for a series or a book that is sure to make you laugh, snort and have a good time this is the one to pick up. Ms. Langlais has a way with words that is sure to entertain even the most finicky of readers. Her storyline is filled with fun even when their is danger at every turn. 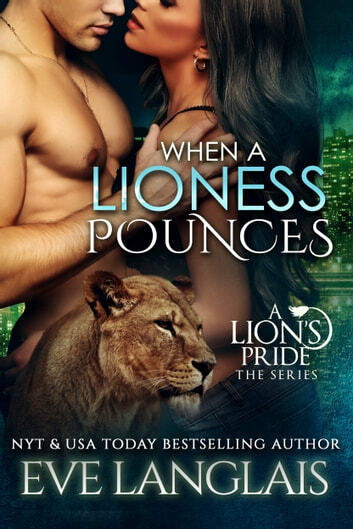 The characters are charming, snarky and the lioness's are crazy but they sure do know how to have a good time. Gaston has secrets he is not going to share even if the crazy lioness is set on uncovering what makes him tick. Reba likes a challenge and she has no problem making Gaston her new favorite toy. Superhero costumes, bedazzled bats and the zombie apocalypse add spice to an already unusual courting. Gaston and Reba play a sensual game of cat and mouse keeping the sparks flying as they work to find a common enemy. This storyline is easy to read, filled with fun and laughter leaving you wanting more even when you know you reached the end. I think you can read this as a stand alone however, it is much more fun if you start from book one and get a feel for all the characters. I love the story in this book. I couldn't put my tablet down, I had to keep reading until the end bc the story was that good. Ms. Langlais has done it again! Her unique writing style blends humour with action and still finds ways to heat up the pages. Laugh out loud funny. I love Reba. Reba is smart, funny, cocky and has a joie de’vivre that will make your heart sing. Reba is also very used to getting what she wants and what she wants is the enigmatic Gaston Charlemagne. This hottie has secrets upon secrets and Reba is determined to ferret them all out. That is after they take care of his crazy ex. This book is a bullet train of love, adventure and laughs.